Salmonella bacteria can cause food poisoning in humans, leading to diarrhoea, stomach cramps and vomiting, according to the NHS. Other signs and symptoms to watch out for include stomach cramps, bloody stools, fevers, headaches and feeling sick to the stomach. Symptoms usually last for between four and seven days. After eating an infectious dose of the bacteria, it usually takes 12 to 72 hours for the symptoms to develop. Most patients recover without any need for treatment, but the condition can be life-threatening, and require hospital care. Reduce your risk of infection by washing your hands thoroughly with soap and warm water before preparing and eating food. Always wash your hands after handling raw food or going to the toilet, the NHS said. Keeping cooked foods away form raw foods would also lower the risk of salmonella. It’s also recommended to keep raw foods on the lowest shelf in the fridge, to prevent contamination. Salmonella cases are no longer falling in the EU, the European Centre for Disease Prevention and Control (ECDC) has warned. 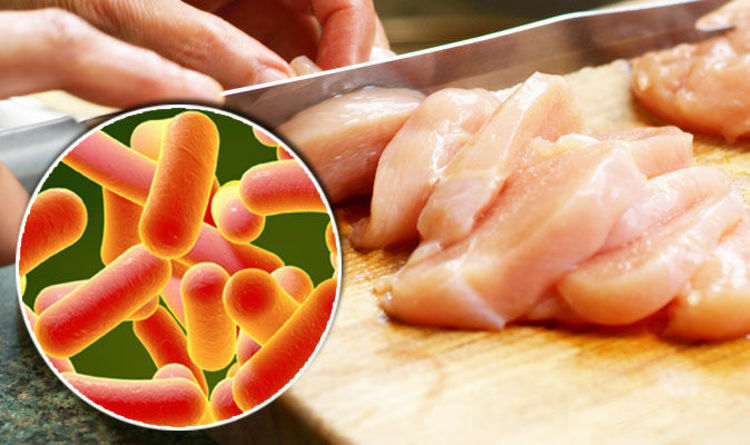 Almost 60 per cent of salmonella cases were caused by the bacteria Salmonella Enteritidis, which increased three per cent since 2014. There were almost 100,000 cases of salmonella reported in the EU last year, most of which came from eating eggs, egg-based products and poultry. There was also a 6.1 per cent rise in the number of campylobacter cases since 2015, the European health watchdog revealed. ECDC’s Chief Scientist, Mike Catchpole, said: “The increase shown by our surveillance data is worrying, and a reminder that we have to stay vigilant. “Even in a state of high awareness and with national control programmes for S. Enteritidis in place, there is a need for continuing risk management actions at the Member State and EU level,” he added. Investigations are needed to find why the number of cases have increased, said the European Food Safety Authority. The UK has reported 166 cases of salmonella since February 1 - 156 more than any other EU country.